MacGregor was born on October 20, 1846 in Towie, Scotland. He studied medicine at the University of Glasgow and the University of Aberdeen, and worked as a doctor in both cities before joining the colonial service in 1872. He was first posted as a medical officer for the Seychelles and gradually made his way up the ranks. He served as Fiji's chief medical officer from 1875 until 1888, and then, moving out of the medical realm, became administrator of British New Guinea. 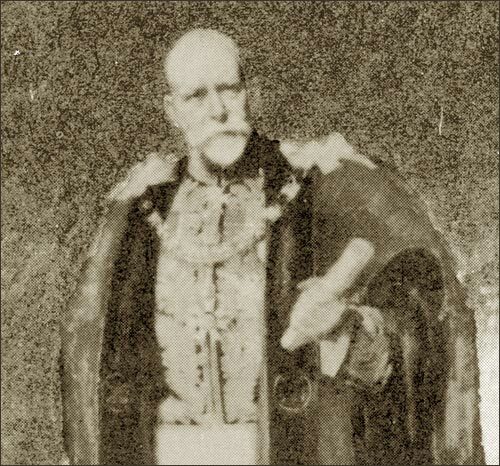 In 1899, MacGregor was appointed governor of Lagos. He served there until 1904, when he became governor of Newfoundland. MacGregor drew on his medical training to help stop the spread of tuberculosis on the island. He was interested in Wilfred Grenfell's medical mission and was the first governor to visit the northern coast and Labrador, on which he reported at length. MacGregor was also one of the few governors who took an active interest in native peoples, visiting both Inuit and Mi'kmaq settlements. Though the premier, Sir Robert Bond, had supported MacGregor's appointment, the two men soon became opposed to each other. Reflecting the view of the imperial government, MacGregor was highly critical of Bond's action in precipitating a dispute with the United States over access to inshore fisheries. This represented Bond's reaction to the rejection by the American Senate of a Newfoundland - United States trade treaty. The crisis was serious. MacGregor became increasingly frustrated by what he saw as Bond's inflexibility and arrogance, and drawn towards the more reasonable attitudes of the Minister of Justice, Sir Edward Morris, who left the government in 1907. The 1908 election resulted in an even split between Bond's party and Morris' People's Party. This situation gave the governor considerable personal discretion, which he used in Morris' favour. That Morris was able to form a majority government in 1909 was due, at least in part, to MacGregor, but it should not be forgotten that Bond made a series of tactical errors. MacGregor's term ended in 1909. He became governor of Queensland, Australia, in 1910 and remained there until he retired in 1914. He died in Aberdeen, Scotland, on July 3, 1919.